This is basically the “memoir of a method addict”. I feel that you really can’t understand someone unless you have ever dealt with their struggle, knew their pain etc…We definitely shouldn’t judge people. I know better than anyone about this. Yea we can call it a “disease”, say it’s hereditary etc… But the bottom line is addiction is real. I can’t tell you the first time I used. But I’m pretty sure is was when I was about 13-14 yrs old. I remember my dad was really pissed off, like I was just going to be around it, watch it and never use it. But that’s how naive this drug makes you. All I know is that after that first time it took my life away. I spent the next 20 years chasing that high. Not wanting to deal with my reality. It took away my youth, my health, my looks. I didn’t care about anything or anyone else. That included myself. I never wanted to let go of the never ending party/high. The only time I would stop using were my periods of being in prison. Then 99% of the time as soon as I would get released, I would just take off, on the run, get high until I got caught again. Then just do it all again. That’s how much power this addiction is. I can tell you 100% from the bottom of my heart, that addiction is stronger than love. My guilt used to eat me from the inside out. That I would choose drugs, alcohol, being alone and on the run. Over my children, my mother, freedom, a home etc…Well no excuses!! I admit that I chose my addiction over my family. Now they are paying for my mistakes. I do love my children, my family. But I never even loved myself. So what can I expect. So is there life after meth? Yes absolutely. But boy I’ll tell you for real I am getting ready for this war. Because you not only have to be vigilant, work hard and give it 100% a piece of your heart and soul to get over this. Because I can tell you for real I wasn’t planning on spending part of my life a broke, homeless junky. Then spending the majority of it in prison. This wasn’t my plan. But its where I am now. Now thanks to having a loving mother in my life. Working on myself by reading, writing, working out, thinking about what I want and what I have to do to get it. Then I’ll tell you for real its simple like this. I just have to have all the positive and all the power outweigh the addiction. I was never a drug addict because of my parents, childhood, trauma etc…I was an addict because I wasn’t strong enough. Addiction knows no boundary. It don’t matter if you had a perfect life. One try and it could own you. So there is life after meth. I’m tired or surviving. I’m ready to live life. So if you or someone else is still struggling with your addiction, are you happy? What a coincidence it is that I ran accross this post tonight. Here I am, an addict myself, broken and defeated. I was released from prison 8 mos. ago after doing a 4 year sentence for stealing pain meds while being a nurse. 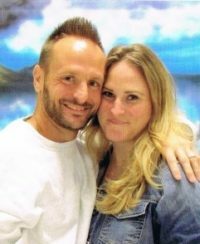 In 2013, I was 27 years old and was goinv to prison. I had lost everything because of addiction that had been hounding me since I had been 15 years old. I lost my home, my son’s father, my family, custody of my son (to my mom,) my nursing license, and most importantly, myself. I did a hard 4 years. I had multiple hole shots and dozens of tickets. Although I found myself in there, I was not able to receive any recovery programming. So I went in an addict and I came out an addict, just as strong as I was before. Thanks for that insight. I love how you finally realized you never really loved yourself. I feel that is the core to anyone’s problems, no matter how big or small. I have an alcoholic mother and know it’s so hard for the people around you. Truly all they can do for themselves is love themselves also-find a way. I commend you for continually trying. Never stop having hope. Find your strength and keep fighting for you! Good luck! Tilt the universe in your direction! “I remember my dad was really pissed off, like I was just going to be around it, watch it and never use it. But that’s how naive this drug makes you.” This is very powerful. Thank you for providing lenses of understanding about addiction, as well as the idea of surviving vs. living.